President Trump's latest appointee is as dreadful as his earlier ones. Trump has nominated Kansas Gov. 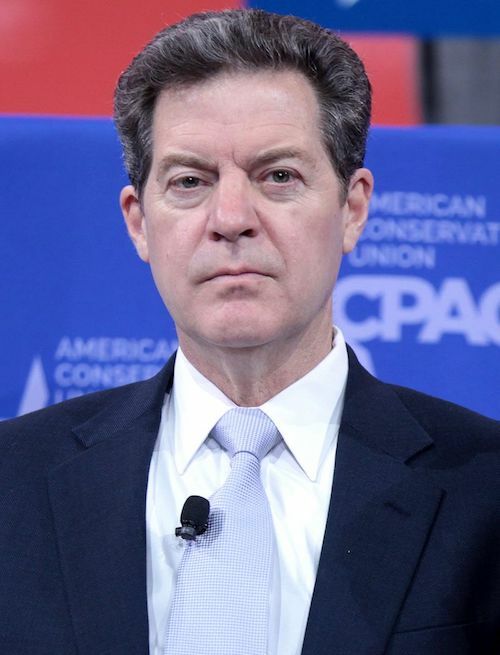 Sam Brownback as an ambassador-at-large for religious freedom. Trump has chosen several other religious zealots for contradictory and preposterous posts, like asking foxes to guard the henhouse, as FFRF has observed on other occasions. Brownback's views are similarly antithetical to the office for which he will be nominated. Brownback has a distorted view of religious freedom — more akin to religious privilege. He has used his power as governor to weaponize religious freedom, changing it from a hallowed protection of the rights of individual conscience into a tool to impose religious beliefs. FFRF has a long history of opposing the Kansas governor. His views on religious freedom, which he'll be responsible for in his new post, are truly troubling. Under the guise of "religious freedom," Brownback legitimized discrimination by signing SB 175, "the Campus Religious Freedom Bill," which prevents state universities from taking any action against student groups that discriminate against minorities if their religion declares it necessary. This runs up against settled Supreme Court precedent. As a senator in 2010, Brownback joined a brief against FFRF's lawsuit that, for a time, struck down the National Day of Prayer. When the 9th Circuit declared that "under God" in the Pledge of Allegiance was unconstitutional, Brownback took to the floor of the Senate to excoriate the appeals court: "Can we declare the Constitution unconstitutional?" Apparently, he forgot that the Constitution, like the original pledge, is godless. Brownback stood by Texas Gov. Rick Perry's side when Perry used his position in 2011 to organize and promote a massive prayer rally in an effort to solve the worst statewide drought ever. Brownback was the only other governor to attend the prayer rally. And after all of Perry and Brownback's prayers, the drought worsened. One of the worst breaches by Brownback came in 2012 when he proclaimed Dec. 8 as the "Day of Restoration in Kansas." In his official capacity as Kansas governor, he appeared in a commercial for a private religious group, ReignDown USA. He beseeched people to ask for "humility to be used as salt and light in a difficult season for the United States and for our state." The reference to salt and light invokes Matthew 5:13-16, a passage, like ReignDown's mission, that is about converting people to Christianity. In 2015, FFRF hammered Brownback for an executive order issued in the wake of the Supreme Court's ruling on marriage equality, seeking to "preserve and protect" religion. The third part said that the state government "shall not take any discriminatory action against a religious organization that provides social services or charitable services, which acts or intends to act upon sincerely held religious belief or moral conviction." This was directed at religious adoption agencies and similar organizations. Also in the aftermath of the Supreme Court judgment, Brownback removed discrimination protections for LGBT state employees with an executive order. Just a few months ago, FFRF took Brownback to task for his sermonizing state of the state address. He concluded by saying that Kansas "is the place our destiny lies. A place sung of in countless churches, synagogues, and places of worship across our vast prairie. ... Let us never forget the God of our forefathers who blessed it and us. And let our eyes never lose sight of the glow from that heavenly place where peace reigns forevermore! May God continue to bless the people of our home — Kansas." Kansas will get rid of an awful governor if Brownback is confirmed as ambassador, but the State Department will receive the unwelcome gift of an unfit diplomat.